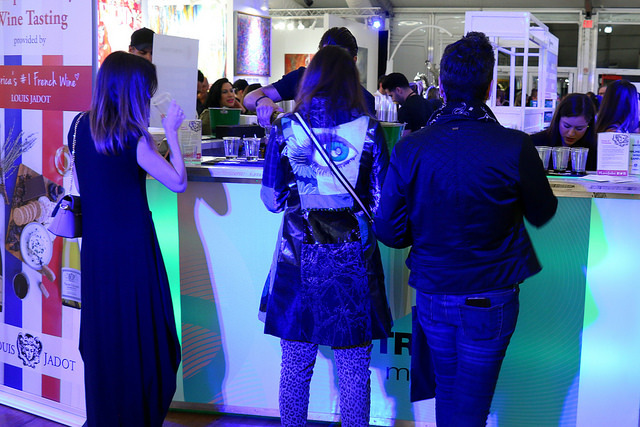 From sold-out booths and immersive pop-up installations to celebrity-studded fashion shows and late-night hours, Spectrum Miami demonstrated the undeniable power of contemporary and modern art to captivate, seduce, and charm buyers, collectors, and all of us who love art. 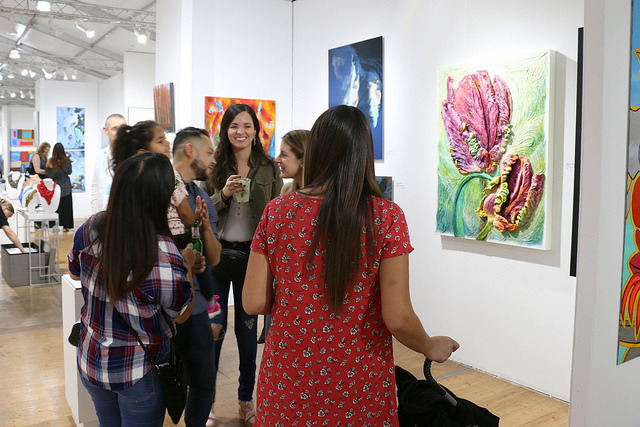 Showcasing a carefully curated selection of international artists and galleries, Spectrum Miami reported over $1 million in sales, a 19 percent increase in attendance over the five-day fine art experience, and more than 7,000 guests for the Opening Night Preview. 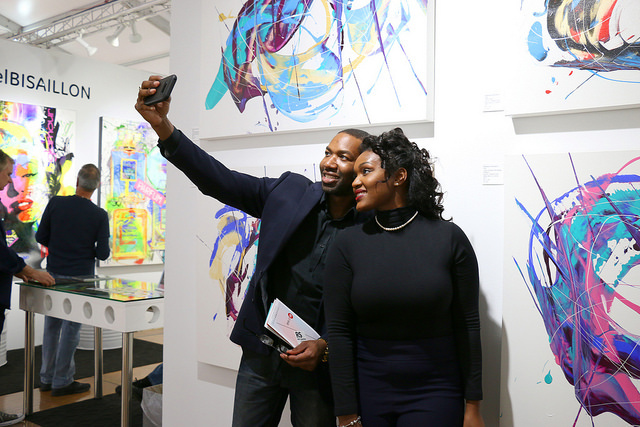 Redwood Media Group CEO Eric Smith, Cervera Real Estate Managing Partner Alicia Cervera Lamadrid, and Artblend Co-founder Michael Joseph cut the ribbon to open Spectrum Miami’s Mana Wynwood debut, and attendees didn’t waste any time. 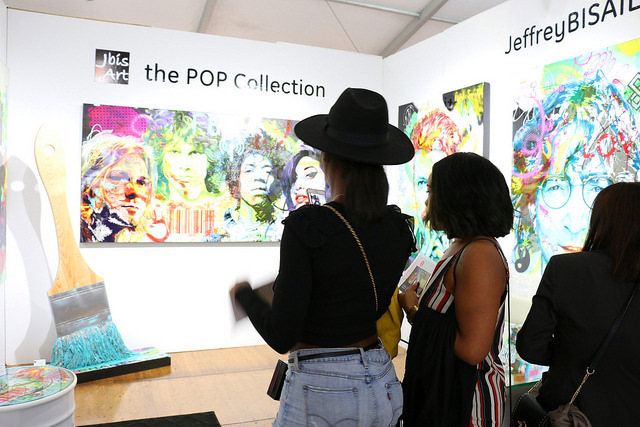 JBIS Contemporary Fine Art sold nine pieces from Jeffrey Bisaillon’s new POP Collection, selling out its entire booth by Saturday, and Artblend placed more than 25 works. 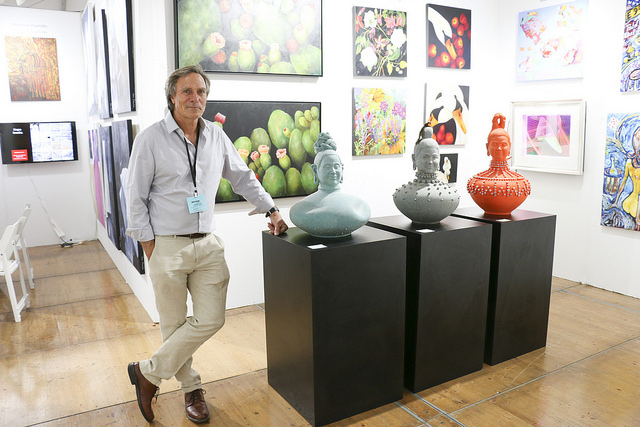 It was an exciting five days leading to comments from collector Brett H. Oppenheimer who says he’s already looking forward to attending the show next year. Visit our testimonials pages to read more. JBIS Contemporary Fine Art placed “Audrey” at $9,900; “Marilyn” at $8,400′ “Parfum” at $8,400; “Twenty7” at $11,500; “David” at $8,400; “John” at $8,400; and several others, selling out the entire booth by Saturday. 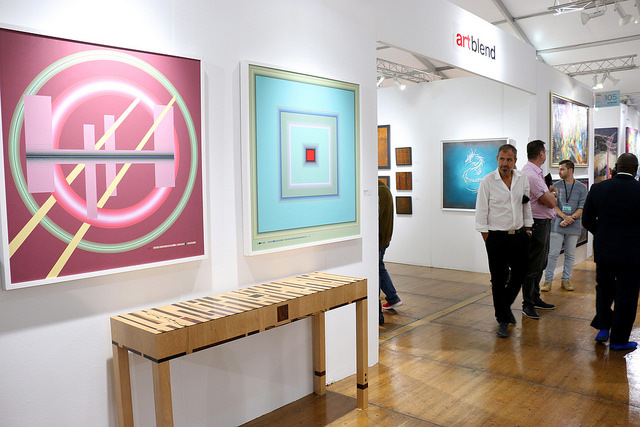 Artblend placed four of Barry Seidman’s “Red Wine Silhouette” prints at $2,500 each and two “Smoke #26” at $2,500 each; “A Section of Subtle Color” by Ed Martin at $3,500; “Ruby Velvet” by Yochi Yakir-Avin at $5,000; “Synchronization” by Adriana Galetska at $1,200; “Shy” by Adrian Galetska at $1,500; “Seashore” by Roxy Sora at $1,500; and “Fun” by Alexandra Murguia at $1,600, among others. Shupe & Lowe placed Eric Shupe’s sculpture on amethyst at $16,500 and “Valkyrie” at $75,000. Fabio Dal Boni placed “Cosmos Origin” at $2,300; “Call Me a Dreamer” 2 at $6,500; “Pink Beauty” at $5,500; and “Leadership” at $5,100. Ralwins Art Gallery placed 10 Yenny Cocq pieces ranging in price from $250 to $3,500 and a life-size commission. Chivilo placed “Golden Messengers” at $2,900 and “Explosion in Blue” at $2,900. Erin Lincoln placed “Rose” at $2,500 and one other at $2,000. Kathleen Brodeur and Edison Campos placed “Kimono” by Campos at $9,500. Fine Art Initiatives placed “Kandahar Confetti” by Glen Clarke at $12,000. Marianne Enhorning Designs place “Dejas Vu” at $3,200, among others. 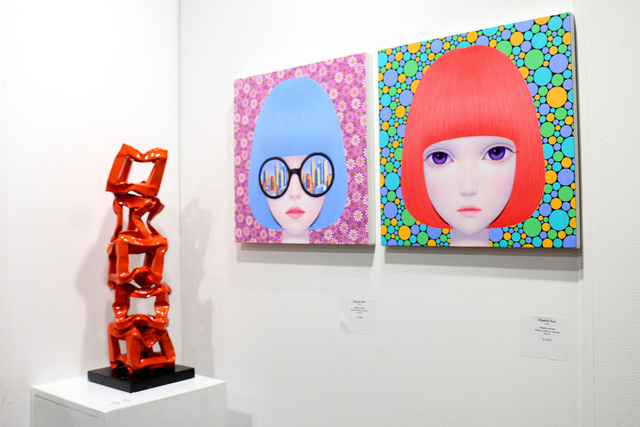 Mecenavie Gallery placed “The Divine Comedy” at $2,000; “Money Skull” by Chad Daly at $850; and “Slavic” by Batli. Artelier Without Borders placed three paintings totaling $6,000. The Tracy Piper placed 13 prints, including “Alex” at $2,000 and “Kit” at $2,000. Felton Weller placed three pieces totaling $2,000. Coco Gen Z placed 22 pieces at $125 each. Karan Patel Art placed “Gucci” at $1,200. Qoza Studio placed “Problem Solved” and “Here’s Your Love,” sculptures by Thomas Wargin at $6,000 each, plus 3 others at $5,000 each. Tyler Sean placed “Flower Flower Pretty Girl” at $4,000. James Paterson placed 10 wire sculptures ranging in price from $300 to $3,500. Hikkuri Casa placed three “Crome Yellow Skull” by Mr. Hukkuri at $1,100 each; three “Crome Orange Skull” by Mr. Hukkuri at $1,100 each; and three “Crome Black Skull” by Mr. Hukkuri at $1,100 each, among others. Temel Nal placed “Move I” at $4,700. Autumn Lundberg placed one of her pieces at $1,500. Leslie Singer placed three pieces at $750 each. Phil Carriere placed two pieces at $2,895 and $1,750 respectively and six pieces at $600 each. John Maghamez Art placed a piece at $6,000. Kass placed two pieces: “We Know You” at $4,000 and one other at $2,000. Souren Mousavi Fine Art placed three pieces at $4,000 each. Charles Sucsan placed a piece at $6,000. Lynn Opperman took three commissions and was pleased with gallery interest in her work. Douglas Powell Art placed “Einstein” at $20,000. Evelina Cole Fine Art placed “Woman” at $3,000, took two commissions, and confirmed a gallery placement. Denise Cassidy Wood placed “Roses Are Red, But This Is Blue” at $1,800. Karen Patel Art placed three pieces at $1,300 each. Cecelia Freire placed five pieces at $750 each. Wryemoore Art placed several pieces with a price range of $1,000 to $6,900, including “Flower District” at $4,500. 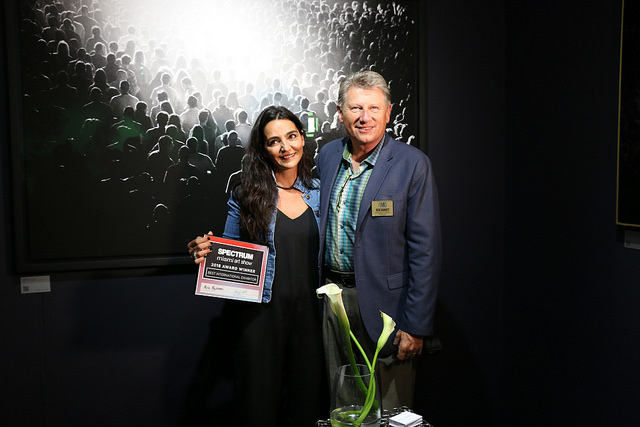 Ilaria Arpino placed two pieces at $4,000 and $4,500, plus another at $12,000. Roy Allen Shapiro placed one piece at $1,500 and two others at $3,500 each. John Craig Bonze placed his bronze sculpture “Vision” at $1,500. Aldo Castillo Gallery placed a sculpture piece at $6,000. MVillaSierra placed “Hot Magazines” at $3,500. Liliana Mendez placed the “Velos” sculpture at $4,500, plus the “Acrobat” sculpture. H. Allen Benowitz placed two of his “Patan City Baby” pieces at $1,400 each and two “Tiger’s Nest” pieces at $1,200 each, plus several others. Worldwide Art / Artavita placed “Bonsai” by Olga Loschinina at $900; “Coastal” by Ulla Maria Johanson at $290; “Vice Performance” by Moon Hee Kim at $7,300; and several other pieces. 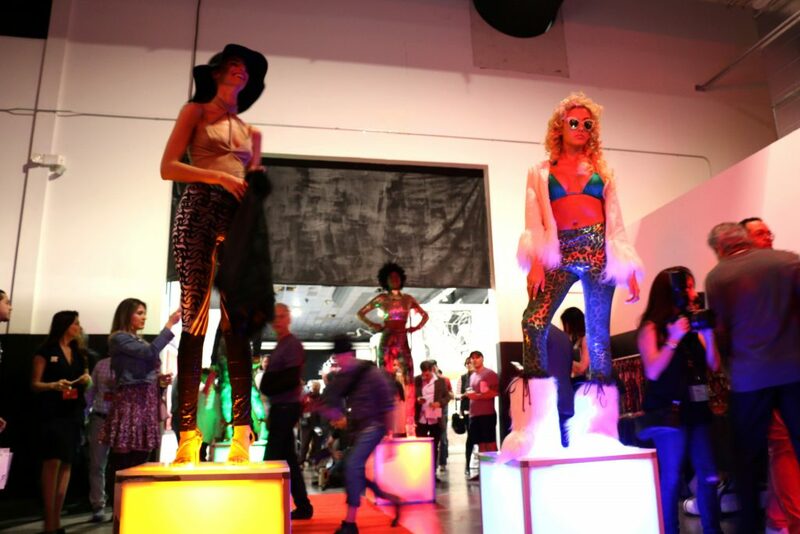 Still thinking about one of your favorite pieces from the show? 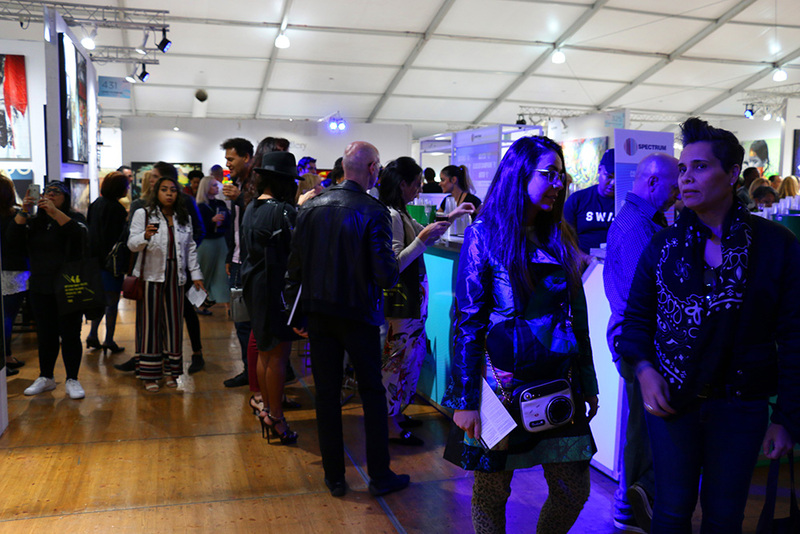 Find the exhibitor in our Exhibitor Gallery and connect to see if it is still available. Who knows—you may find more than one that’s perfect for your collection! Many thanks to our wonderful sponsors for their generosity and to everyone who attended the show. Our success was because of you! Until next year, make sure to follow Spectrum Miami on Facebook, Twitter, and Instagram for all the latest news, updates, and behind-the-scenes shots.